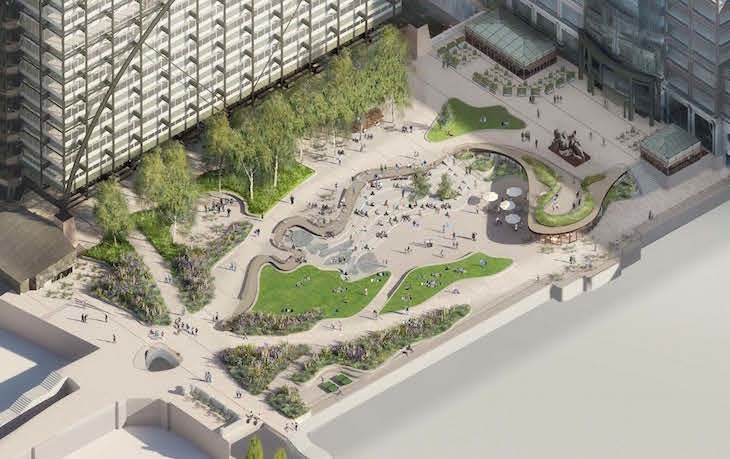 These pictures show off designs for a new public park near Liverpool Street station. 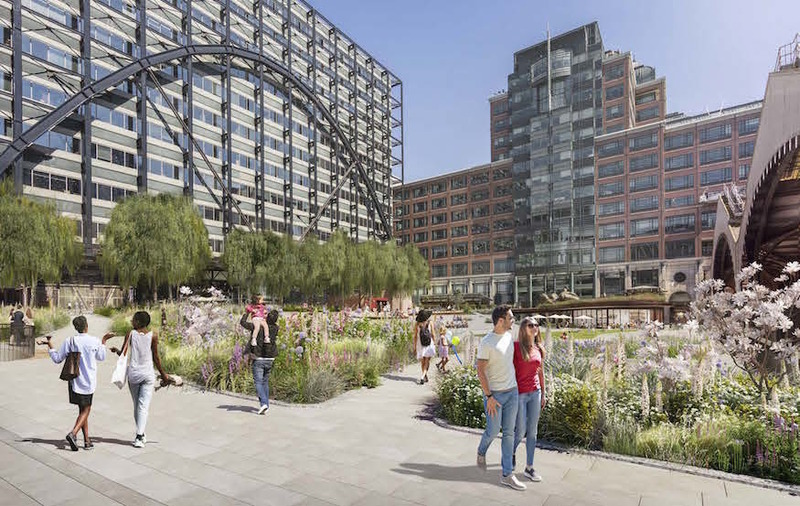 Exchange Square in Broadgate — directly to the north of the railway station platforms, and previously home to a Christmas pop-up ice rink — is the proposed location for the new 6,000 sqm park. The designs, by London-based firm architecture firm DSDHA, include grass and green space, a 'playful' water feature, space for a new restaurant, and an event space. Happily for us, it's close enough to Londonist Towers that it might just become our new summer lunch spot. Due to the large amount of green space integrated into the designs, there are plans to hire a head gardener to oversee landscaping and planting. The proposal aims to "blend nature with the energy of London", and to "promote the physical and emotional wellbeing" of people who live and work in the local area. 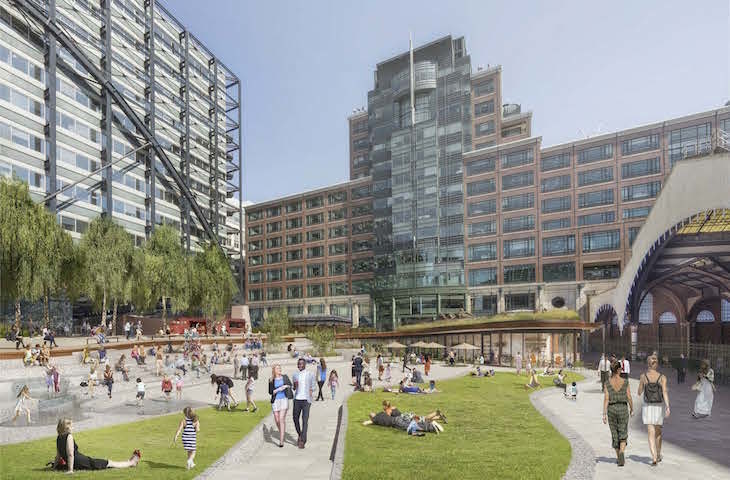 The park is part of the ongoing redevelopment of the 32-acre Broadgate campus. DSDHA has already completed a project which saw planters and seating added to the area. The news comes just a month after the City's latest public sky garden opened.